Five “Facts” About Blow-Off Valves That Are Wrong. Back in the early days of turbo cars, this was true – most factory turbo cars did not come with a factory blow-off valve. However, these early turbo cars were also running relatively low boost levels. Most modern turbocharged cars do have a blow-off valve from the factory, but it recirculates the vented air, so it doesn’t give the characteristic sound of a vent-to-atmosphere blow-off valve. Recirculating BOVs are sometimes called bypass valves (BPVs). Nevertheless, standard BOVs/BPVs are often very basic, sometimes made of plastic and suffer from poor valve response and do not cope well with increased boost levels. That fluttering noise that some turbocharged cars make when the throttle is suddenly closed, such as during gear changes, is the result of compressor surge. Basically, that flutter is the sound of a turbocharger trying to push air but failing due to a closed throttle, and it dramatically increases load on the bearings of the turbo. If it occurs at higher engine loads and/or boost levels it can cause premature wear to your turbo. A BOV prevents turbo flutter by venting the air pressure that causes surge. This misconception is likely due to the fact that the characteristic sound of a blow-off valve, that loud, sharp “pssh”, is created by a vent-to-atmosphere valve. Recirculating or plumb back valves do exist, and are very popular – you just don’t hear them. As mentioned above, most modern factory turbo cars have a recirculating blow-off valve as standard. Turbosmart manufactures high performance aftermarket recirculating blow-off valves as well as the more noticeable vent-to-atmosphere versions. A Turbosmart Type 5 Plumb Back BOV – it recirculates 100% of vented air back to the car’s intake. 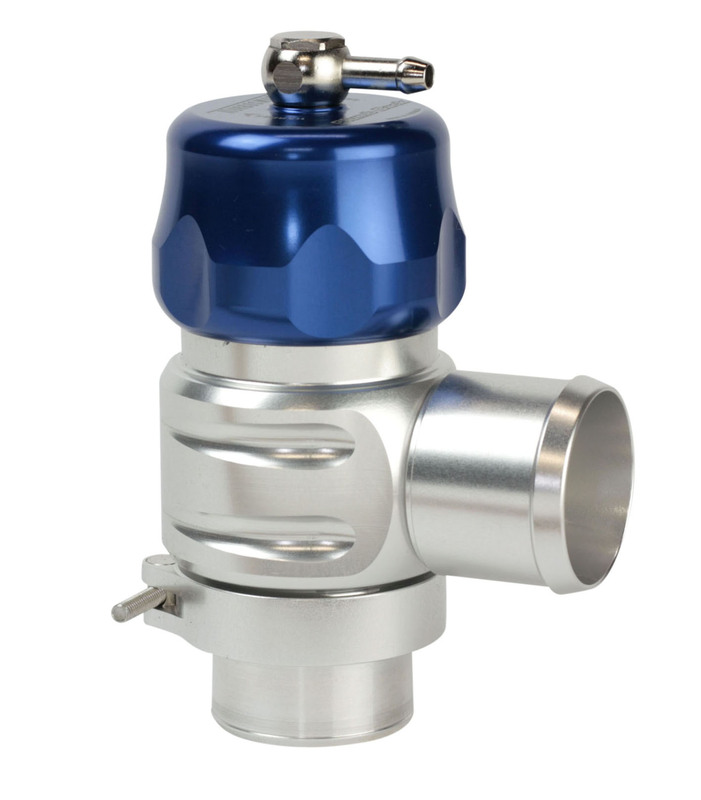 Turbosmart’s Dual Port valves feature a split between recirculating and atmospheric operation, giving quiet, computer-friendly operation on low boost, and that classic vent-to-atmosphere sound at higher boost. Turbosmart’s Type 5 Dual Port even lets you switch between fully vent-to-atmosphere, fully recirculating, or a mix of both as you wish. A smoke test attempts to diagnose boost leaks by pressurizing the turbo system with smoke, and observing where the smoke is escaping. However, this test does not replicate real driving conditions. Typically in a smoke test, the plumb back port of a BOV is pressurized, which never happens when driving. This means air leaks out of the BOV through areas which do not have to be sealed under operating conditions. Another form of test which is not an accurate means of testing a leaking BOV is the soap test. A soap test is similar to a smoke test except soapy water is sprayed on the BOV (and around the rest of the turbo system) and the system is pressurized with air. Bubbles will form in the soapy mixture where air is escaping. There is no piston style valve that does not show some leakage in these tests. They all do, and for a very good reason. Just like a piston within an engine, there needs to be a small amount of clearance to allow the BOV’s piston to move. There is a very small amount of clearance between the bore of the BOV and the piston so it can move freely. This does NOT cause any boost leaks. The amount of air getting through is negligible, and would not cause any boost drop in the real world. Some aftermarket blow-off valves require a rubber O-ring to seal the piston with the valve body and prevent leakage, which will perish or become displaced over time. That means the valve will have to be disassembled and that little O-ring replaced to ensure the valve continues to operate as it should. Turbosmart’s blow-off valves are precision machined to mere fractions of a millimeter to ensure they seal without the need for a delicate rubber O-ring, making them much more durable. To purchase a Turbosmart BOV, or to find out more information, please contact us. Alternatively you can purchase online, on our retail store Part-Box. Click the banner below. Posted on December 18, 2015 December 18, 2015 Author Connor PardoeCategories UncategorizedTags blow off valves, bovs, facts, turbosmartLeave a comment on Five “Facts” About Blow-Off Valves That Are Wrong. Søren Juhl Pedersen gave his S1600 Suzuki Swift (nicknamed “Taylor”) a successful outing recently, it was a club championship race in his local club EMSA in Esbjerg, where the new Rallycross track at Korskroen will be ready in 2016. Pictures above and below show Søren and Taylor in action. For 2016, Søren will work with Zomer Motorsport and Co-ordSport to develop a new spec. engine to overcome the unreliability suffered this year.